In a world where life has gone digital, marketing has to follow. 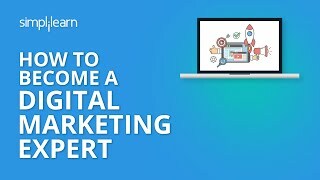 Digital Marketing is one of the hottest fields in the world today, with tons of high-paying jobs available for skilled candidates. Designed by expert authors, our Digital Marketing courses combine high-quality training in SEO, Social Media Marketing, and PPC with practical advice to ensure professional success. We partner with global leaders and industry bodies to bring you the very best training possible. Paul is a 20+ year marketing veteran who has been overseeing the management, creation, and execution of digital marketing and sales enablement programs at Pitney Bowes. He has built and scaled a highly effective global digital selling program which has generated over $10M in revenue. We partner with global leaders and industry organizations to bring you the very best training possible.